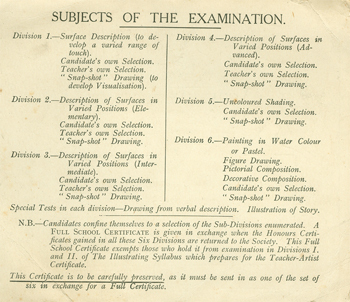 Below are certificates and examination papers starting with the most recent and going back as far as 1922! 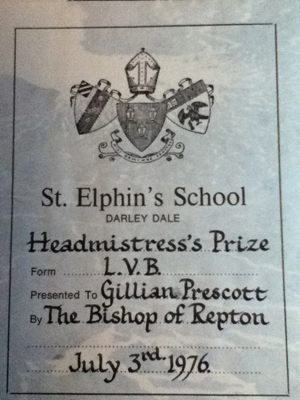 Thanks to Gill for supplying a copy of her certificate. Gill was at St. Elphin's from 1968 to 1977 in Kennedy House. 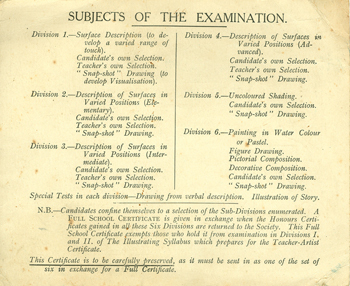 Thanks to Rosemary Levick-Marson who has sent in the following exam papers. 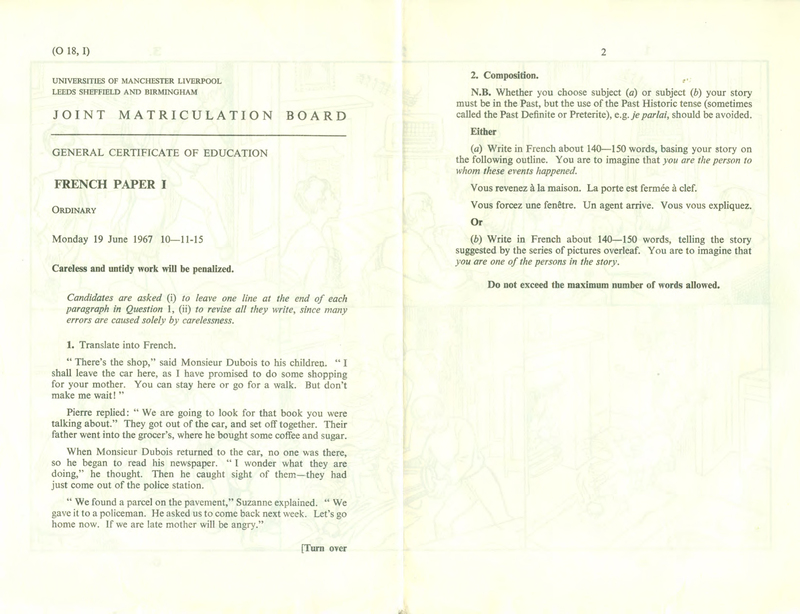 Thanks to Joan Parsons-Wynne (1948-1952, Kennedy House) who has sent in her 1952 Timetable for the Examination for the General Certificate of Education. 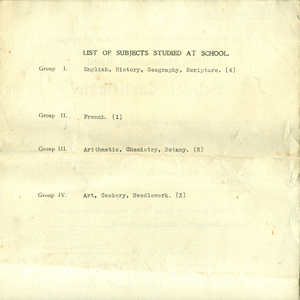 In addition she still has the actual examination papers for the subjects she undertook. Click on each of the subjects to see the papers and see how they compare to when you took your exams! 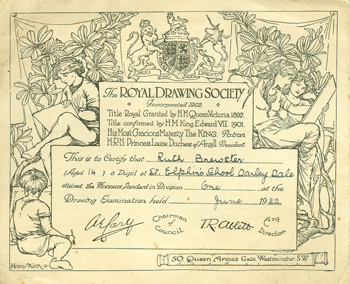 Ann Lyon-Entwistle was awarded an Intermediate Certificate by The Royal Life Saving Society in July 1951. 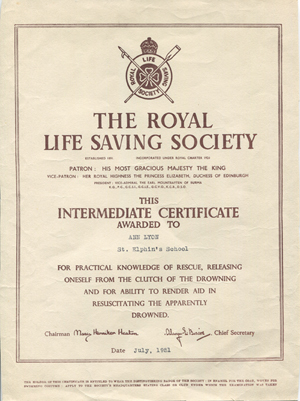 "For practical knowledge of rescue, releasing onself from the clutch of the drowning and for ability to render aid in resuscitating the apparently drowned. " 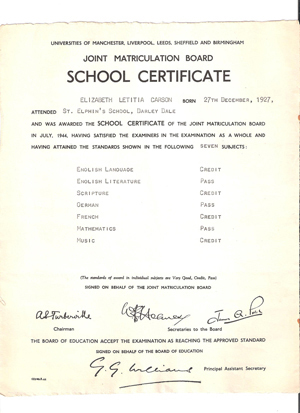 Thanks to Caroline Wareham for supplying the certificate. Caroline was in Kennedy House from 1971 to 1974 and her mum, Elizabeth Carson was in Powys House from 1940 - 1944. Elizabeth sadly passed away on 23rd June, 2013. Caroline Wareham's mum, Elizabeth Carson, passed away on 23 June, 2013. 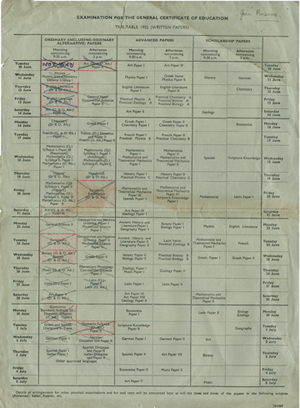 Caroline was in Kennedy House from 1971 to 1974 and Elizabeth was in Powys House from 1940 to 1944. 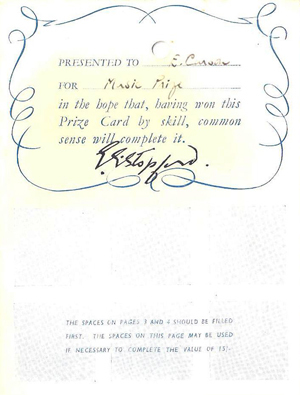 Amongst Elizabeth's memorabilia of St Elphin's was a music prize for which it looks as though she was given 15/- (fiften shillings) worth of National Savings! 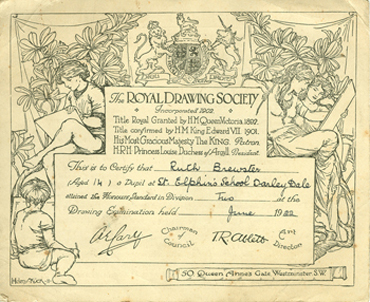 The following original certificates from 1922 and 1925, awarded to Ruth Brewster, were kindly supplied by Christine Tew. 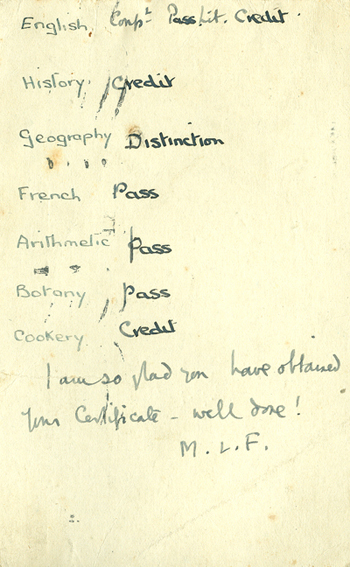 It's interesting to note that Ruth also received a personal postcard from Miss Flood (Head Mistress) congratulating her on obtaining her School Certificate! 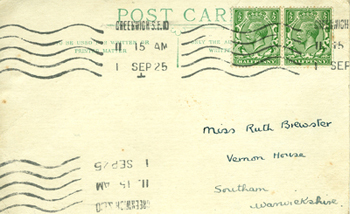 Thanks to Christine Tew for providing the postcard for scanning. 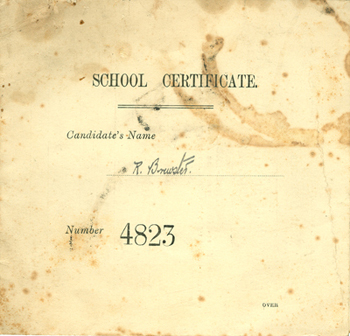 Thanks to Christine Tew for providing the certificate for scanning. Please click on images below to enlarge.